This year, I have plunged into a different world, the world of cream blushes. I have a normal to oily skin combination and I was very hesitant to take the plunge, but I did and I am darn happy about it. All hail to my favorite cream blushes, a good mix of high end and drugstore. The Revlon Photoready blush in Coral Reef is a hard one to find, these came out last summer in a limited edition collection and I can't seem to find it in Canada. I got mine in USA on a recent shopping spree, oops ! This blush applies perfectly and evenly, it gives the perfect amount of color on your cheeks without looking like a Oompa loompa. 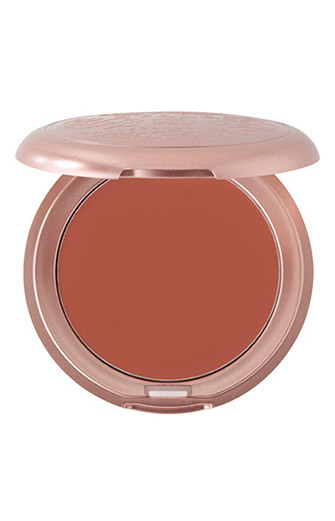 Secondly, I picked up this Joe Fresh cream blush in Bloom and this one is very pigmented. I dab my brush in the pot and dab it on the face of my hand before applying it to my cheeks, to reduce the amount of product and it works just fine. Very good quality for a whopping 8$ CAN. I think my favorite one is this Stila Convertible Color in Peony. This color is just way to pretty on a darker skin tone. It gives the effect of a perfect bronzed glow. Who would think this color would do that just by looking at it in the pan, but Stila Convertible Color in Peony is definitely a winner for every skin tone, it creates a healthy glow on your skin and stays on all day. Obviously, the one I own is a sample size, but you can be sure that I will be looking into these Stila Convertible Colors since they have such an amazing formula and an amazing range of colors. A definite A+ for these ! Finally, Nyx Cosmetics is a brand that is hard to find in Canada, but you can swipe the sadness off your faces because, my fellow Canadians, our Target's will carry Nyx Cosmetics products in their beauty section. Oh yes ! Who is excited for Target, I know I'm gonna have to control myself when they open, because Target is a dangerous area full of goodies. Back to this blush, Nyx Cream Blush in Glow creates the perfect ''glow'', hence the name. I prefer to wear this blush with absolutely no eye makeup, just mascara to create a very soft look. I must agree, it is not easy to apply cream blushes. As I was a newbie in this field, I decided to stick to my faithful brushes, the Real Techniques brushes. I use the Real Techniques Stippling brush to apply all my cream blushes and it works perfectly. But if there is one thing I have learned from this dip in the world of cream blushes is that is it better to start with some cheaper options before jumping to the big guns. The drugstore brands make really good cream blushes and it's really worth the shot. 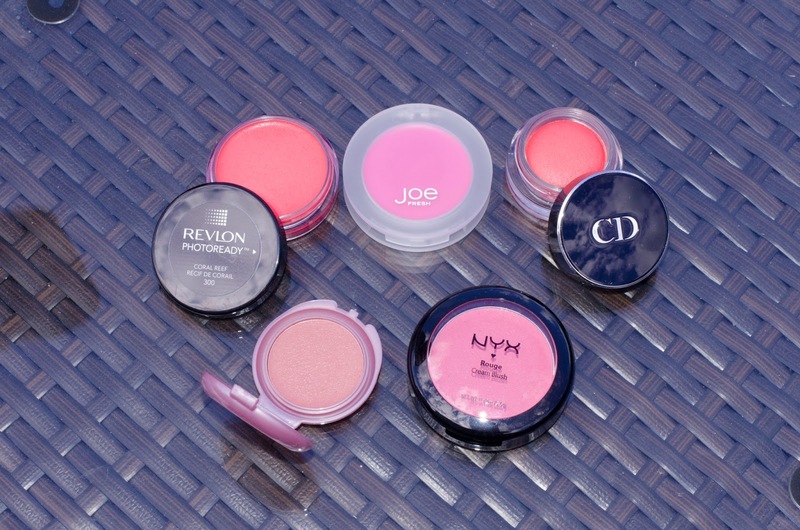 Have you ever used cream blush ? And what is your favorite cream blush ?